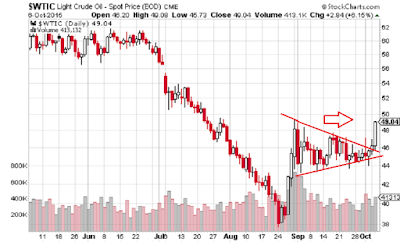 We finally got a breakout on crude oil. The triangle consolidation has been long. Crude is now a long bias on any fresh breakout over yesterday.